Andrew left his house early Monday (11/29/10) morning between 1 am and 6 am. Andrew left a note on his bed saying he was picked up by a friend, he was staying overnight with the friend, he's very stressed out and he would be back Tuesday (11/30/10) after class. Andrew did not take his car. He did not take his cell phone. He did not take his wallet. However, we believe he took his California drivers license, cash, Apple Mac Book laptop, camera, a skateboard, contact lenses, glasses and a backpack. Here are some things that seemed to peak Andrew’s interest: beaches; snowboarding; the book “Into the Wild”; SFO; and New York City. 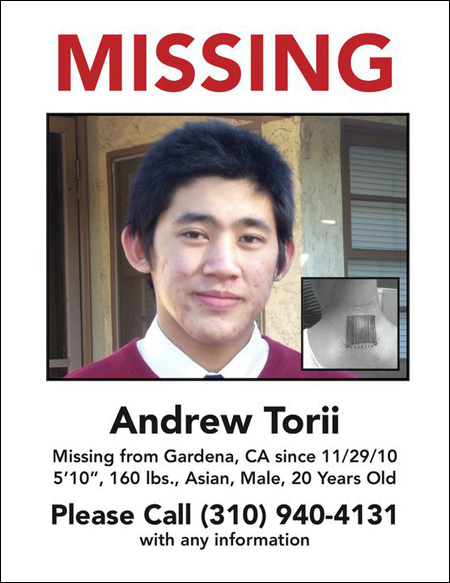 Here's the link to his entry on California's missing persons database: Andrew James Torii. 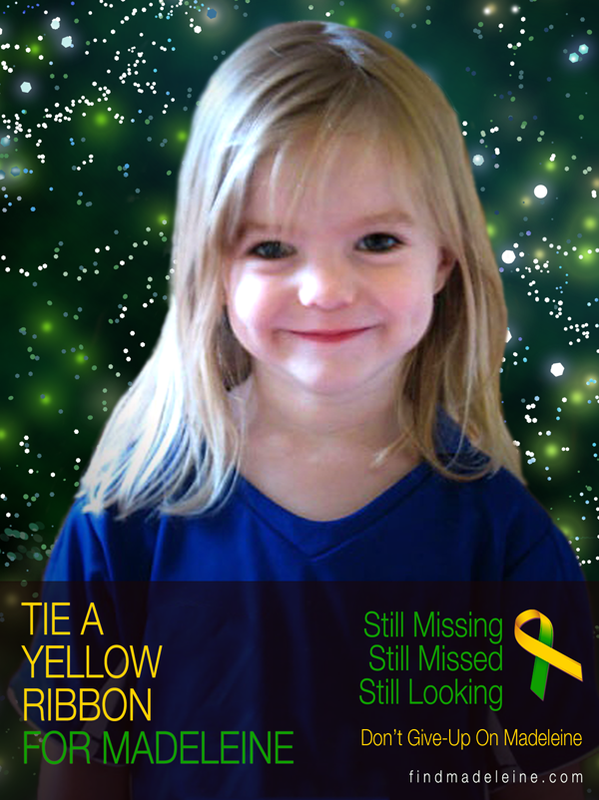 And more information on this Facebook page: MISSING - PLEASE HELP. If you have any information on Andrew's whereabouts, please call 310-940-4131. I have looked at Tarot to see what might be the situation in regard to Andrew who has been missing now since November 2010. This is the information I have concerning him above and a link to that page. Tarot is not 100 per cent accurate but might be able to shed a little light or give us some glimpses into what may have occurred to Andrew. Tarot is past present and future and may pick up some details already known. Please go to other sources for factual information. Asking tarot what might have happened to Andrew in the early hours of 29th November Im receiving him in the family home or a family home which makes me feel puzzled so I am going to ask that question again. The direction incidently is allegedly NORTH. Curiously, I am still coming up with pentacles regarding what happened to Andrew. Firstly the initial card can represent the family home and finances. It seems to me if we are asking what was happening to Torijj he seems to be surrounded by finances, family and school/studies . If we look at the five of pentacles, it seems to me that he might have felt that he had to let everything go materially because the four of pentacles reversed shows him releasing his material belongings. That can also mean everything a person considers personal to them. I just seem to have him somewhere between home and his school in these two cards - it does,nt seem to be showing me anything in particular except that there might be a finance problem or that he might have needed to work out what to do about finance or even getting finance. But if we move further into pentacles I am feeling that money has been lost to him. He could have fallen into a situation where he was not in good company and that someone might have wanted his possessions. In the first card and the second, seems to show his family home and not far from it going North, then we have North again and a possible south turning there. It is not unreasonable to suggest churches or large buildings or even business or school buildings for the five of pentacles but it does show beggars so I hope that nobody took advantage of Andrew here which might be the case. As these cards are finances in particular they must figure strongly around him as to what was going on or what might be behind the problem? Worry and stress are on the 5 of pentacles but it seems like he was setting out to deal with that however, the six of pentacles is not such a great card nor is the seven as it does show someone who wants to make 'quick cash'. All the cards that seem to follow after that might turn up some dubious company or people who might not have Andrews best interests at heart. Pentacles is still giving us North and there is a south 'turning' here. It all seems to be sticking very close together for my questions about Andrew. Here asking where he might be, Tarot is simply telling us that he found security and his identity in another place. That seems to suggest that he ran away, but normally I would consider the swords 7 for that. However, he seems to be letting go of all his problems in this card because it seems to me that he might have lacked the aptitude for learning or he might have had problems learning his studies and it got on top of him?? I am seeing the same big building mentioned before, it might be a school or a missionary place, or it might be church or churchyard/cathedral, in a name or as an actual place . I see a note left in the report about him, but also a note is mentioned for others to read in the three of pentacles. However, I dont wish to cast aspersions but this card seems to cancel out a note even though it acknowledges thta one was supposed to have been left. So, that to me is odd. Did he write it, or did someone else? or maybe it might be that what he wrote was not his actual plan or not what he was going to do? I might be wrong with my thinking but I would be looking for this young man somewhere near to 'home' wherever that might be. I see NORTH but when the card is reversed, there might be the word SOUTH here. It might be to do with a street name or district even, or it could be he went North and then turned South. However, Im not getting very far away from the 'home' in these cards so Im not sure what to think. I see him isolated personally, and I have Gardens here so as that appears to be the district he was in, I would continue to look there??? I also see dog or dogs in the picture a little later on these cards can also represent parks and agricultural areas. There is a possibility of family misfortune here and I see items/possessions that might be 'lost'. Im not sure about the time period tarot is giving me for the events that I mention but I do see insecurity here with Andrew and health and financial difficulties seem to be prevelent. Im not sure how promising it is to find Andrew because this card seems to tell us that some efforts have been fruitless or even a waste of time which sounds very harsh from Tarot. Note again how this pentacle card has arrived. All of Andrews cards have been about Finance and health and agriculture in the main as well as school/studies. I do wonder if this boy went far at all as the tarot is not exactly giving me much scope to work with therefore, I have to take note of that. Generally Pentacles are years and this card would suggest that Andrew would be found under 7 years which seems excessive. Under 7 years can mean ANYTIME under that stated time. However, I feel a little bit concerned about all of this and I would be tempted to look or suggest looking more around his school, home and the areas and landmarks tarot has suggested. Pentacles can be very vegatative cards suggesting gardens, parks, agricultural and landscape scenes but I also think because he is from Gardena it seems to tally that Pentacles might be talking about that. Perhaps the 7 might be giving us other clues and telling us to try to make some quick haste about trying to find him. But it does show us unproductiveness. Maybe people should look where they have already looked before?? I keep feeling there is a link to 'home and school' not that it makes me right about matters, but someone under 35 years of age who is very irresponsible might be able to shed a little light as they do appear a little later in the tarot. Indeed so does a female both of these people are of possible ethnic origin. I also think that someone has a car that perhaps has not been used for a while or may have been used as a form of transportation. Meanwhile, all I can leave is what Tarot has given. Tarot is not 100 per cent accurate so some details may be slightly offside, but I just leave what I feel tarot has tried to convey to me. This is a brief synopsis for Andrew and hopefully eventually as I do feel EVENTUALLY is the key word, he might be found. Time will tell of course. Please keep in touch if you have news of Andrew. Here is his facebook help page.